Let Entertain with Jane make your next party or holiday the envy of all your family and friends. Whether it be a scary cemetery in your front yard or creating a haunted house for Halloween or setting up your Christmas tree and decorating your fireplace mantle and front door with garland and wreaths. We install your exterior holiday lighting and come back and pack it all away so you don’t have too! For all your Wedding needs, just set up a consultation with Entertain with Jane and expect to be impressed. 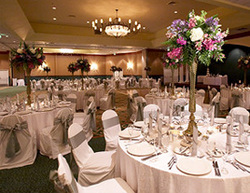 We will over see everything you could possibly need for your special day. Entertain with Jane can transform any plain ordinary venue to extraordinary! Entertain with Jane also offers their very own Wedding Destination located on a beautiful 6 acre horse farm right here in beautiful Middletown, NJ. Perfect for that romantic and charming down on the farm wedding.